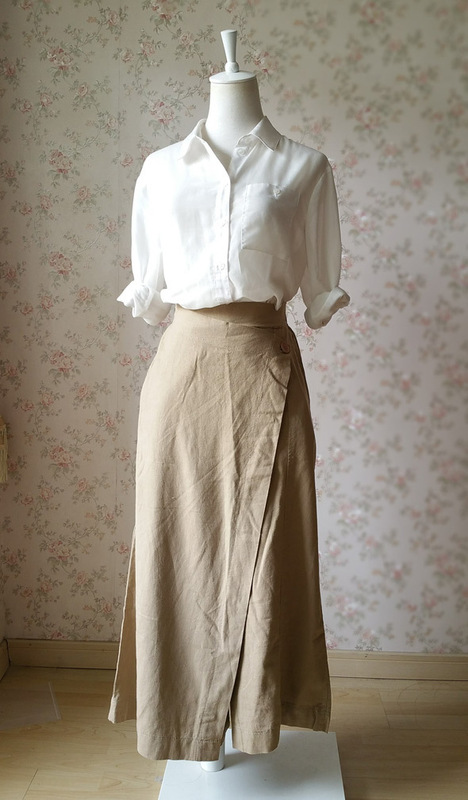 Women Loose Linen Wrap Pants! Featuring a elastic waist, full length loose wide legs with wrap around overlay and flowing when you moves. 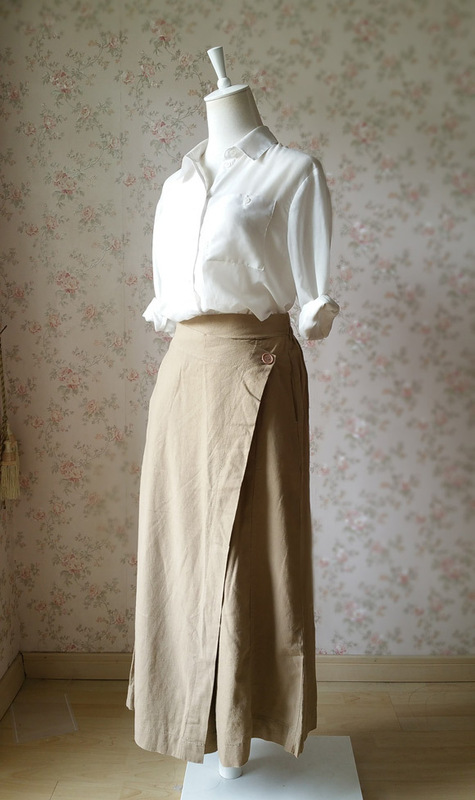 And as this chic wide leg pants are made of high quality natural linen, it's also very comfortable. You can wear it to hang out, travelling, or just play with your kids at home. I believe you wear it for very long time. We specially picked several organic colors for this pants, which are just very easily match your any tops.